Collective labour relations are constructively managed based on the principle of freedom of association. Employees may associate or not with representative organisations and trade unions. Trade unions that are sufficiently representative of employees are recognised at appropriate operational levels, and operations covered by industry agreements participate in relevant industry forums. There are no operations where the right to exercise freedom of association and collective bargaining is at significant risk. 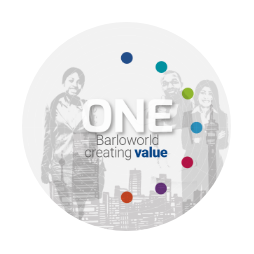 Employee representatives, including trade unions, worker committees, health and safety committees and industry bodies are openly engaged at appropriate levels in the organisation and in South Africa, work-skills and employment equity forums are established. There are no formal health and safety agreements with trade unions although this aspect is regularly included on the agenda of meetings with management in the various operations. Businesses that operate under industry agreements with unions are covered to the extent that these issues are addressed at industry level. a. Minimum number of weeks' notice typically provided to employees and their representatives prior to the implementation of significant operational changes that could substantially affect them. Minimum notice periods on significant operational changes vary across the group. These are covered in individual employment contracts, legislation, industry agreements and other negotiated recognition agreements. Industry agreements include consultation processes and notice periods. The company adheres to the applicable notice period. Significant notice periods for group leadership positions are as follows: nine months for group chief executive; six months for executive directors and three months for divisional directors.